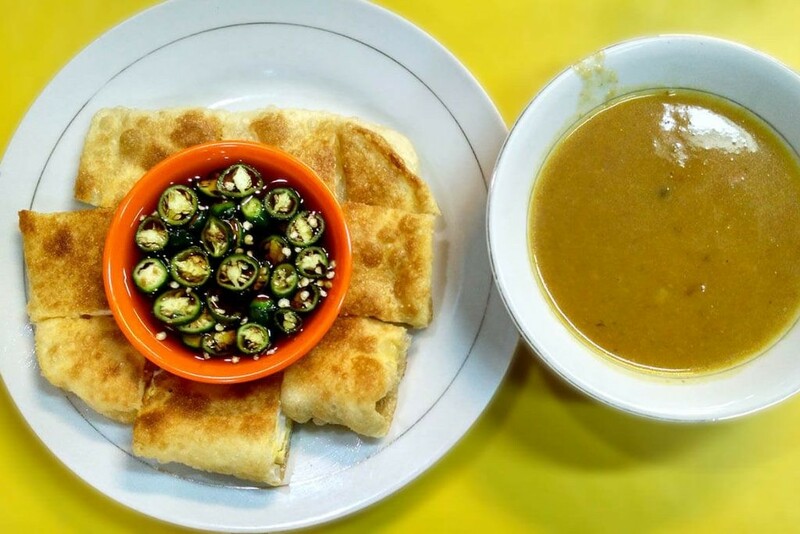 In general, martabak telur (stuffed fried pancake) is consumed with a watery dark-colored vinegar sauce mixed with slices of cucumber and bird’s eye chili. However, I chanced upon a rather different variation of this delicacy when I popped by Martabak Kari H. Abdoel Razak in Cideng on Jl. Biak, Central Jakarta. I deliberately arrived at the establishment just after lunchtime to avoid having to wait in a long line and a packed uncomfortable warung. Located opposite Nite & Day Hotel Roxy, it is slightly hidden from plain sight, but you can spot its kitchen at the exterior area of the joint, complete with stacks of martabak boxes and neatly organized duck eggs on show. With only yours truly and a couple of other customers present during that particular afternoon, the wait staff seemed to be taking a breather before the dinner crowd descended upon the place. This warung has been around for around 34 years. The business started out in the form of a tent that stood right across its current building. Due to overcrowding, it finally made the move to a permanent shop five years ago. 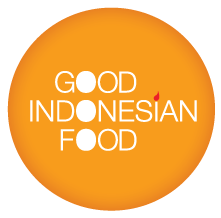 One of the employees there explained that Martabak Kari H. Abdoel Razak once had branches in Kelapa Gading and Bintaro. Both were eventually shut down in order to focus more on developing their flagship shop on Jl. Biak. It may not have a varied menu, yet they all looked enticing. I chose to order its martabak telur kuah kari (stuffed pancake with curry) and mie celor Palembang (noodles in coconut milk soup and shrimp stock). I was intrigued by the latter as it is reputedly known as the eatery’s signature dish. It was smart to drop by at 2:30 p.m., as my food was prepared swiftly without the need to wait too long. Up first was the martabak, followed by hot mie celor. Although similar in appearance to the martabak telur sold by cart-pushing roadside sellers, not a shred of onion or minced beef were found in the mix – only eggs. It was bland, but became tasty once I dipped a piece into the steaming bowl of curry provided. The curry itself was not too concentrated and was yellowish in color with bits of potatoes, which reminded me of Indian curry but with fewer spices. I then moved on to mie celor. Consisting of noodles, bean sprouts and hard-boiled egg, the concoction is then splashed with coconut milk that had already been mixed with shrimp stock. It tasted quite unique because of the shrimp-infused savoriness. For those who prefer spicy food, don’t forget to ask for additional sambal(chili sauce). Open daily from 11 a.m. - 12 a.m.